September 2017: for the last year the "liberal" left has engaged in open political and racial violence against whites, conservatives, and the police. Democrat party racial and identity politics has become open violence through groups such as Antifa and Black Lives Matter. The Trump victory in 2016 has driven the violence into the open and even some Democrats fear their incitement and hate has gone out of control. Here we will explore the subject of a letter to the editor (below) published in the Bristol Herald Courier. Why is Obama and his followers so mentally out of touch with reality? He is a product of a dogma that rejects meritocracy, reason, and science that manufactures a fantasy world - so out of touch one must question their sanity. The core of this mental illness is a term coined I believe by a Dutch writer on why the European elite are so adamant in destroying European culture and marginalizing its native populations. Oiko is Greek for home. Oikophobia is a cancer just as evil as xenophobia. Oikophobia is the evil opposite of xenophobia. Oikophobia is hatred of one's home, culture, and people. What started as a way to gain political power has morphed into racial and cultural self-hatred. The cult of diversity has little to nothing to do with tolerance or inclusion - in fact it's intolerance and exclusion of the heterosexual mainstream white population by those alienated from it and born to it. Oikophobia is its basis. Let's look at two so-called civil rights organizations and their take on diversity. The notorious Southern Poverty Law Center's 11 member board in 2010 consisted of one Asian, 4 blacks, 5 Jews, and a rabid anti-Christian atheist. Like the 4 Jews and 5 Catholics on the Supreme is unrepresentative of the population as a whole. The NAACP a far left racist organization has zero white members on its board. Not even a single Jew as far as I know even though they largely funded and controlled it in the past. Racists such as Louis Farrakhan can incite hate openly at the NAACP and the SPLC is silent, but a Christian organization is lumped in with Neo-Nazis and the KKK for opposing gay marriage. If "diversity" is good, why do liberals congregate in lily-white enclaves like Vermont (the whitest state in the Union, according to the Census) and Marin County, California? White liberals hector others incessantly about the need for "diversity," but most have no interest in living in neighborhoods with large numbers of blacks. The ideal society in the liberal mind always seems to be a Scandinavian socialist one (which is to say that liberals strive to make the U.S. more like some of the most uniformly white nations in the world). Many conservatives mistakenly believe that liberals obsessed by race are afflicted with "white guilt." Not so. The truth about racial matters in the U.S. is this: racial issues are not actually about race...race is a weapon used by liberals to bludgeon conservatives and delegitimize conservative, patriotic values. I'd also add in their obsession with homosexual marriage to bludgeon Christians and absurd claims of sexism in women being under represented in tech jobs as simply political tactics - they care nothing about gays or women as people. But purely desire for power is too simplistic. As I'll show these people are not liberals and in fact reject liberalism. They like to pretend they are rebels, but often have feelings of inferiority. While mainly agnostic or atheist they still have the religious crusade impulse focused on "salvation" of the world but by destroying it. 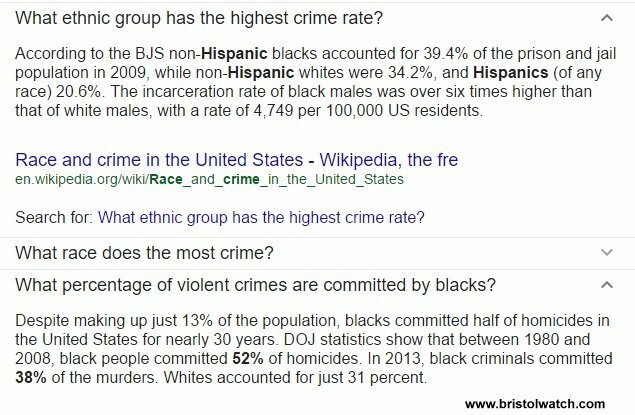 The term the Left likes to use is "justice", but what do they really mean by justice? The answer to this comes from our elite universities that were overthrown by 1960s radicals. What I call Leftism would be better called socialist racism, but is more complicated than what Michael Filozof says. It's difficult to define these people because they are so incoherent whose positions are like shifting sands on a beach. It's not entirely about race but all facets of Western culture where the proletariat and the bourgeoisie have been re-mapped along the lines of mainly race/culture, and even sexuality. The new proletariat has become a vast array of manufactured grievance groups used collectively to attack the mainstream culture in particular heterosexual whites and capitalism. While often called "cultural Marxism" I reject the term as meaningless - this is not Marxism even though many distorted Marxist ideals are present - Marx would roll over in his grave at this craziness. But to defend this manufactured fantasy world Leftism must crush and sensor all inquiry - derisively known today as political correctness it's more than mere censorship. Their absurd social theories must be protected from reason and scientific inquiry - reality must be dominated by empty empathy and stories of mythical oppression. People must believe the problem exists before the Left can fix it to gain power. First we must ask who is behind this manufactured grievance industry and what are their goals? As noted the vast majority are affluent alienated white people. Why do people themselves the product of privilege, wealth, etc. be so utterly obsessed with phony equality and destruction of a system that benefits them? Just how can feminists attack Christians for not wanting to pay for abortion and birth control for others as somehow a "war on women" yet defend Islam that treats women as mere property? How can leftists bemoan the terrible poverty and joblessness of black Americans and ignore the killings of blacks by blacks, yet demand open borders and mass immigration knowing that disproportionately drives unskilled blacks out of the workforce into poverty? 17 percent of the American labor force is now foreign born and 38 percent idled - Blacks have been all but driven from the job market and suffer among the highest jobless and poverty rates. The answer is these are simply empty words and a political tactic - they care nothing about individuals. They desire to overthrow mainstream society - to gain power by sowing discord and exploiting grievance is a tactic where they can't use open violence. This is no secretive plot or silly anti-Christ nonsense - it's a collection ideologies rejecting reason for dogma and dogma breeds intolerance. Hispanics are the new socialist voting block and keeping blacks and Hispanics mostly poor and alienated serves to utilize them for votes. But the insanity is even deeper than pure exploitation. Yet the liberal obsession with "academic freedom" seems a bit misplaced to me. After all, no one ever has "full freedom" in research and publication. Which research proposals receive funding and what papers are accepted for publication are always contingent on political priorities. The words used to articulate a research question can have implications for its outcome. No academic question is ever "free" from political realities. If our university community opposes racism, sexism, and heterosexism, why should we put up with research that counters our goals simply in the name of "academic freedom"? She has no use for liberalism and scientific proof that "counters our goals" is to be squashed like a bug. Everything is political. This muddles many issues such as alleged human caused climate change where climate justice must trump scientific inquiry - much of the research promoting "climate change" comes from universities dominated by this culture that has spread far beyond campus into public policy. What is the origin of this "justice" and what do they mean? The UCLA School of Public Affairs on Critical Race Studies asks, "What is Critical Race Theory?" CRT also rejects the traditions of liberalism and meritocracy. Legal discourse says that the law is neutral and colorblind, however, CRT challenges this legal "truth" by examining liberalism and meritocracy as a vehicle for self-interest, power, and privilege. CRT also recognizes that liberalism and meritocracy are often stories heard from those with wealth, power, and privilege. These stories paint a false picture of meritocracy; everyone who works hard can attain wealth, power, and privilege while ignoring the systemic inequalities that institutional racism provides. If one substituted Jews and Judaism for whites Hitler would be dancing at the UCLA faculty lounge - he too hated liberalism and meritocracy as Jews found out the hard way. That is what they mean by "justice" and has been expanded beyond just mere race to endless manufactured grievance groups and even Nature itself. In fact this campus "fascism" is to applied to the broader society in that all freedom must yield to "justice" with the use of government force if needed - force being the courts inventing laws the average person can neither read nor stand against and government regulation as a club and a jackboot. The UCLA article noted this has far moved beyond mere race. Climate justice for examples posits developed Western nations "oppress" poor nations through their use of stolen resources so they must be punished and made to pay for their transgressions - this is another facet of imperialism. Capitalism and classical liberal democracy are the real targets. Questing "justice" in any form has negative political and professional ramifications. Korn cites for example, "Harvard psychology professor Richard J. Herrnstein penned an article for Atlantic Monthly titled "I.Q." in which he endorsed the theories of UC Berkeley psychologist Arthur Jensen, who had claimed that intelligence is almost entirely hereditary and varies by race" and haled efforts to suppress the research. She embraces the efforts of the SDS Marxist's in suppressing such research, but if the research has no merit then why can't we hear it out or present the evidence? They know very well that scientific fact will undermine their racist' CRT rhetoric. "was precisely the goal of the SDS activists-they wanted to make the 'certain kinds of views' they deemed racist and classist unwelcome on Harvard's campus." Yet this entire racist CRT infrastructure of affirmative action, multiculturalism, and victimization ideology is based on some unproven and even they admit exists when no racist' individual can even be found - it's racism because their dogma says so. See The Nazi Roots of Multiculturalism. Psychologists use the term "socialization" to designate the process by which children are trained to think and act as society demands. A person is said to be well socialized if he believes in and obeys the moral code of his society and fits in well as a functioning part of that society. It may seem senseless to say that many leftists are over-socialized, since the leftist is perceived as a rebel. Nevertheless, the position can be defended. Many leftists are not such rebels as they seem. ...In order to avoid feelings of guilt, they (leftists) continually have to deceive themselves about their own motives and find moral explanations for feelings and actions that in reality have a nonmoral origin. We use the term "oversocialized" to describe such people. Oversocialization can lead to low self-esteem, a sense of powerlessness, defeatism, guilt, etc...If this is overdone, or if a particular child is especially susceptible to such feelings, he ends by feeling ashamed of HIMSELF. Moreover the thought and the behavior of the oversocialized person are more restricted by society's expectations than are those of the lightly socialized person. How does Sandra Korn think society should operate and does over-socialization come into play? "The power to enforce academic justice comes from students, faculty, and workers organizing together to make our universities look as we want them to do. Two years ago, when former summer school instructor Subramanian Swamy published hateful commentary about Muslims in India, the Harvard community organized to ensure that he would not return to teach on campus. I consider that sort of organizing both appropriate and commendable." What is dangerous here is these elite colleges produce our leaders in academia, education, press, law, government, etc. She proves once again that violations of "justice" will meet with retaliation and goes on in the public sphere as these violations can lead to lost jobs and ruined careers. Or in the case of the election of Donald Trump open 1930s style street violence and campus riots. Yet while she apologizes for violent Muslims that regularly murder Hindus in the same paper she endorses hate and violence aimed at Israel. But why is this - how could someone's logic be so fuzzy and contradictory? Could over-socialization and oikophobia lead to such muddled thinking? Does she and other leftists really self-identify to the point they are blind to evil? In her mindless CRT fantasy world everything is divided along the lines of oppressed and oppressor - because Hindus are seen as stronger than Muslims they are oppressors; because Israelis are seen as stronger than Palestinian Arabs they are oppressors. This is regardless of the actions of the manufactured oppressed class, and that as oppressed and "lacking power" they can do no wrong and are always victims - total irrational thinking. Merit is seen as a form of oppression, racism, and exploitation as noted with CRT, but only when applied to whites or Israelis or Hindus or anyone else the far left hates this week - except themselves. Notice their complete silence when Arab Moslems are slaughtering ethnic Kurds and Christians - two largely powerless groups in the Middle East. Why are they not victims? Typical is the example of Israel once beloved by the left when they were week groveling Jews became instantly hated after 1967 when they fought back and overwhelmed their violent enemies. The Left only loves you when you're weak and groveling may help them to overcome their own inferiority and guilt complex. On the psychological end it's a type of mental illness in that their extremely misplaced empathy they have placed themselves in the shoes of the manufactured oppressed thus they are the oppressed and must fight to end the oppression. They see themselves as some kind of social crusaders leading the masses to some mythical diversity paradise - with them playing the role of a secular Moses. Oikophobia produces a distorted form of empathy where they will always attack our culture and nation and will always identify with the "other" even if a danger to themselves if the "other" ever came to power. Example, homosexuals supporting Hamas terrorism as "liberation" of the oppressed against Israel while Hamas murders homosexuals for being homosexual. Got it. Thus they could never see themselves as Christians whom they hate as oppressors or Kurds who can't be victims or oppressed when slaughtered by "oppressed" Arab Muslims who can't be held responsible - it's a result of colonialism, Crusades, or some other excuse. Leftist have always made common cause with Muslims in seeking to destroy Western culture. See The Left and Islam Apologetics. This same irrational thinking led Germany an advanced industrial country to follow a mad man who murdered millions. Most Germans had no direct role but stood as passive observers often hiding from the truth or rationalizing away why people were being dragged from their homes and disappearing. This is the same thing with American Leftism today ignoring black flash mob attacks/riots on whites in the same way Germans ignored attacks on Jews by Brown Shirts. They will rationalize it away as whites somehow had it coming for all the problems in the world - sort of like the Jews did in the minds of many Europeans. Leftists incite violence against whites then blames them for it in the same way Nazis blamed Jews for anti-Jewish violence. In fact if the incitement and violent attacks on whites today by was against Jews it would be Nazism - Nazism was a leftist' ideology after all. On the racial end what we have here is a secular remapping of pre-1940s progressivism. The new modern progressivism has the same totalitarian tendencies as the old. Like the old that at times sympathized with Hitler, Mussolini, or Stalin, they want government control and redistribution of wealth, a new order for society; while no longer spouting the old racist eugenics have replaced it with socialist racism rationalized under the guise of CRT. Hillary Clinton who hopes to become president rejects the term liberal and call herself a "modern progressive" and while an atheist sees this as a crusade. Hillary also uses the term "justice". See Progressivism as Democratic Totalitarianism. "only those who care about justice can take the moral upper hand. It is tempting to decry frustrating restrictions on academic research as violations of academic freedom...After all, if we give up our obsessive reliance on the doctrine of academic freedom (meaning reason and inquiry), we can consider more thoughtfully what is just." In the pursuit of "justice" be at the NAACP, the Southern poverty Law Center, or Obama etc. it isn't just academic freedom they demand we give up - it's all freedom must be sacrificed. They believe their cause is moral and can rationalize away evil in the same way many Germans did in the 1930s - science and reason has nothing to with morality - many head Nazis were college graduates. Through Oikophobia these people hate the dominant culture and thus themselves, manufacture a fantasy world they think aught to be, engage in a distorted empathy for the victims they created, then are driven to impose this fantasy on society because they believe it's the moral thing to do. This is what has become Progressive dogma and it isn't about tolerance or equality under the law - it's insanity like that gripped Europe from 1917 to 1945. It's time we start pushing back against phony equality and those inciting racism and hate before millions more die as "enemies of the people." Sandra Y.L. Korn '14, a Crimson editorial writer, is a joint history of science and studies of women, gender and sexuality concentrator in Eliot House. Her column usually appears on alternate Mondays. There have been 206,603 people killed in Syria since 2011 - and virtual silence from the atheist left. Yet the atheist left attacks Israel for defending its civilians from Gaza. Muslims in France kill 12 at a satirical newspaper yet the French atheist left is blaming America and Israel - and Barack Obama skips the protest. Instead of condemning Muslim terrorists, our president chooses to attack the West they mutually hate. He equates these modern Islamic jihadists to the Christian Crusades, the Inquisition, and every other attack he can find on America and Western culture. The Crusades, justified, religious or not, resulted from centuries of attacks and religious-cultural-ethnic genocide by the swords of Arab-Muslims. Obama's apparent hatred of traditional American values, Christians, and conservative whites in general runs so deep in his politically correct fantasy world he cannot hold these groups responsible for anything, be it black violence or Islamic violence. Who's really to blame for electing him? Those self-hating white atheist progressives who shut down debate with the jackboot of political correctness. Before atheist progressivism further destroys our liberties and culture it's time to launch our own Crusade against their racism, their enabling, apologizing for, and inciting anti-Western hate.